All Double Deluxe Rooms come equipped with a super-king size bed or twin beds, television, tea and coffee making facilities and all have modern newly refurbished bathrooms with a shower. 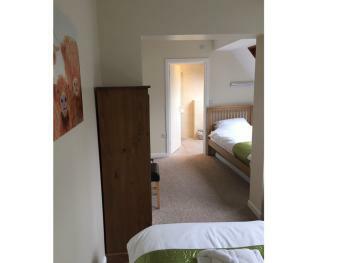 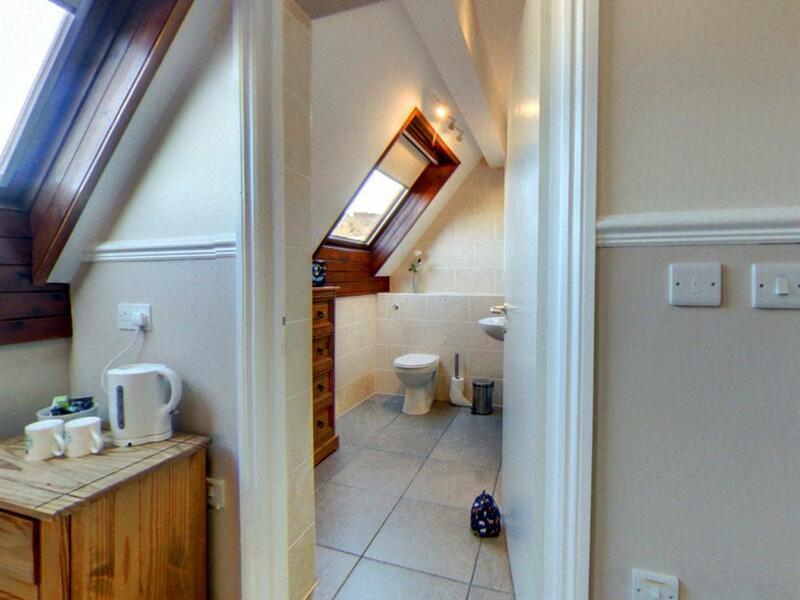 Ground floor rooms are available. Our Standard Family Room comes equipped with a queen size bed, television, tea and coffee making facilities and has a modern newly refurbished bathroom with a shower. 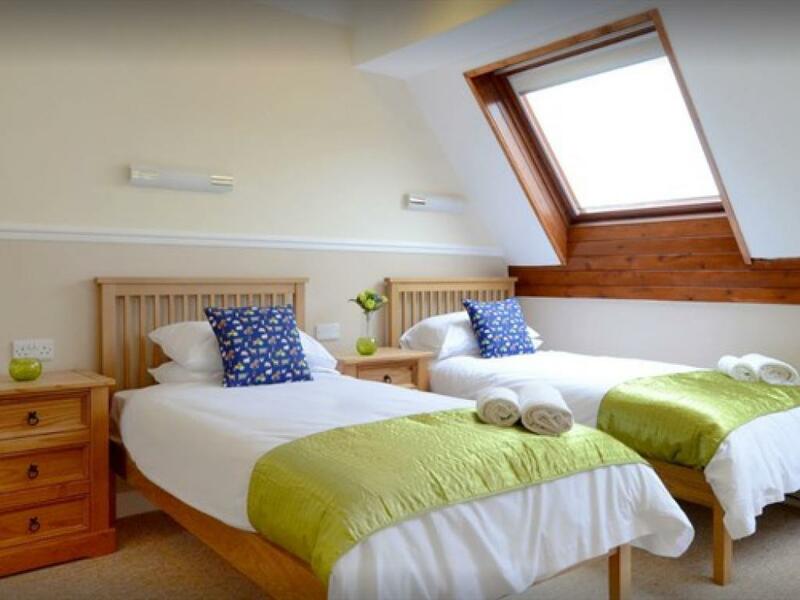 Our Deluxe Family Room comes equipped with a super-king size bed, television, tea and coffee making facilities and has a modern newly refurbished bathroom with a shower. 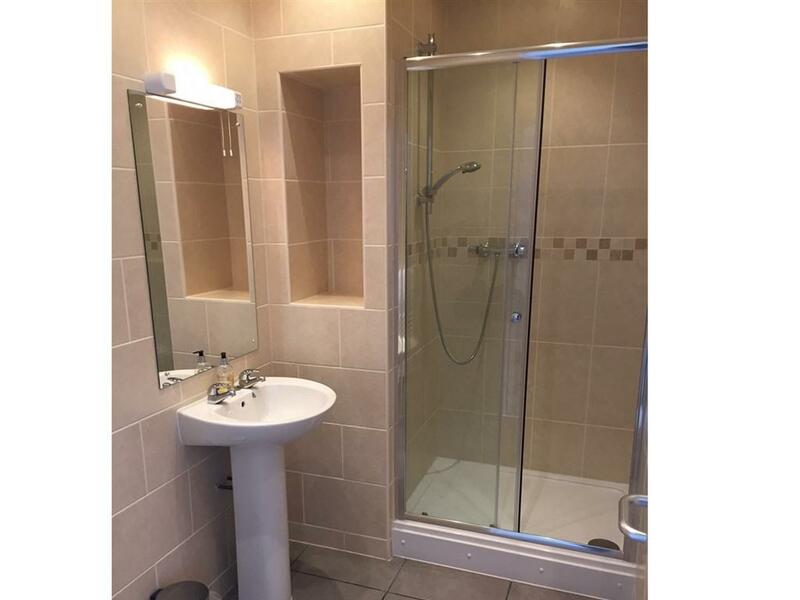 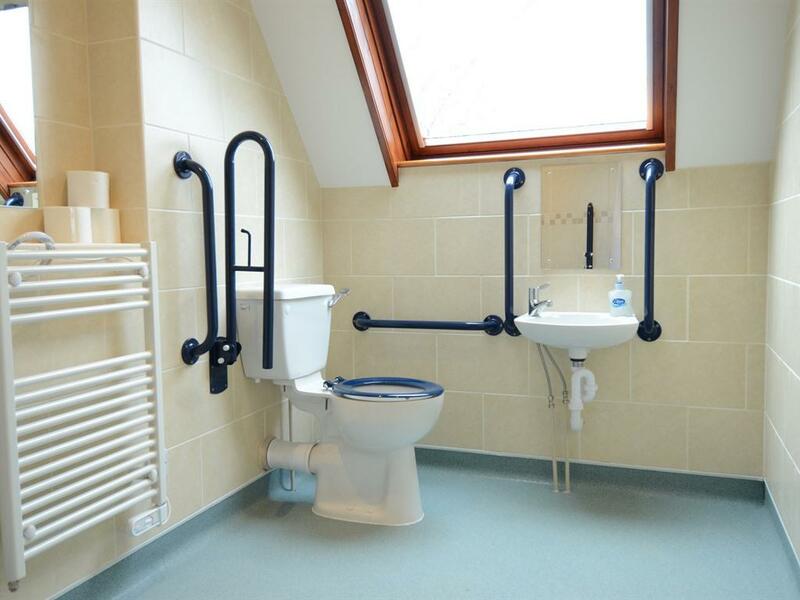 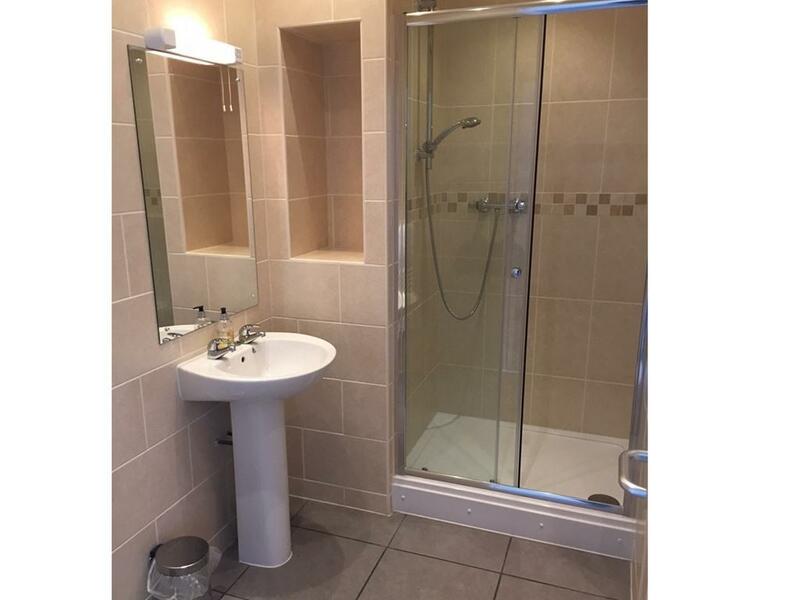 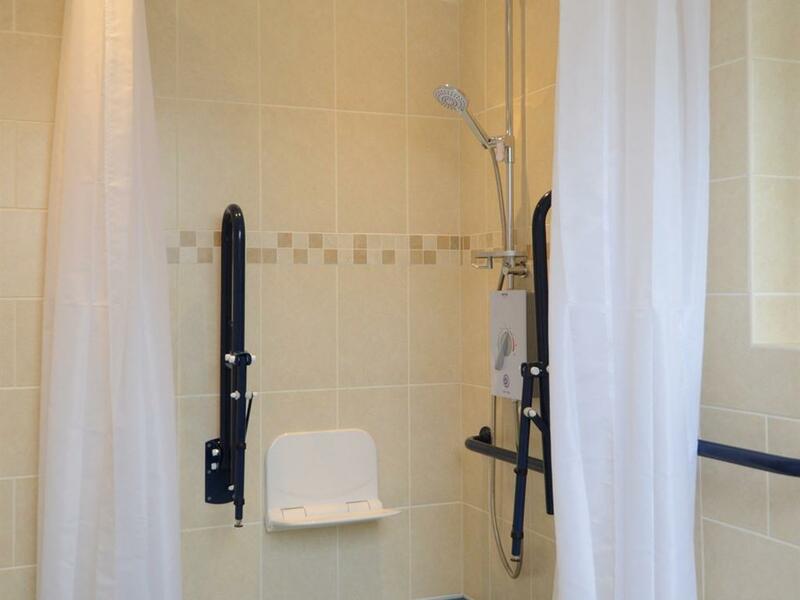 Our Disabled Access Room comes equipped with a super-king bed or twin beds, television, tea and coffee making facilities and has a modern newly refurbished wet room with shower and all necessary grab handles and emergency alarms. 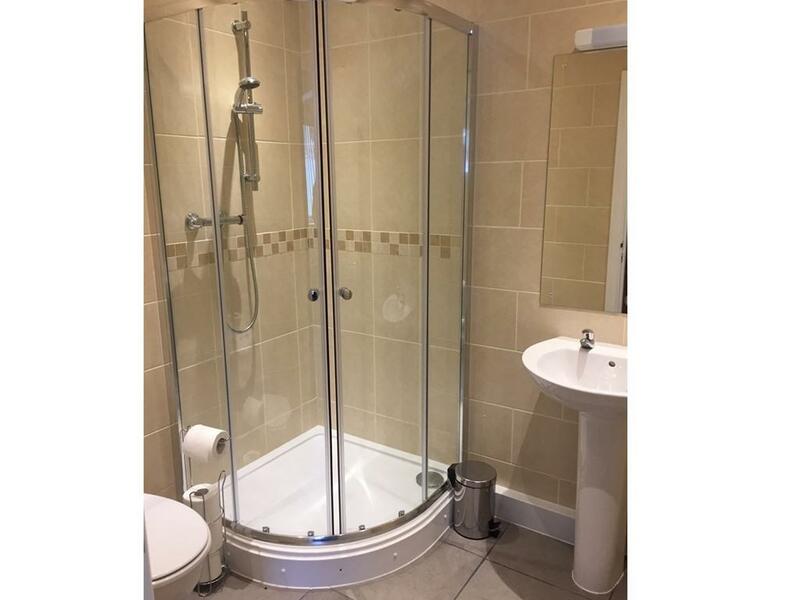 All of our Standard Single Rooms come equipped with a single bed, tea and coffee making facilities and all have a modern newly refurbished bathroom with a shower. 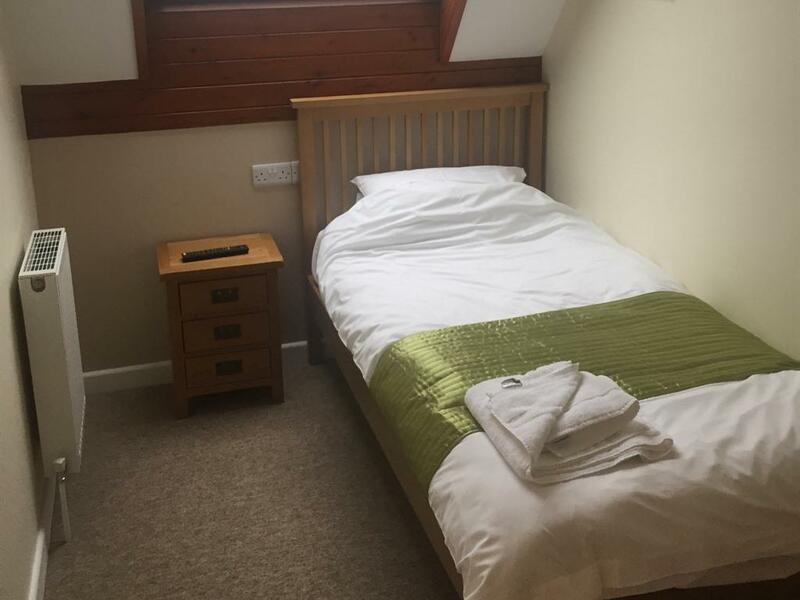 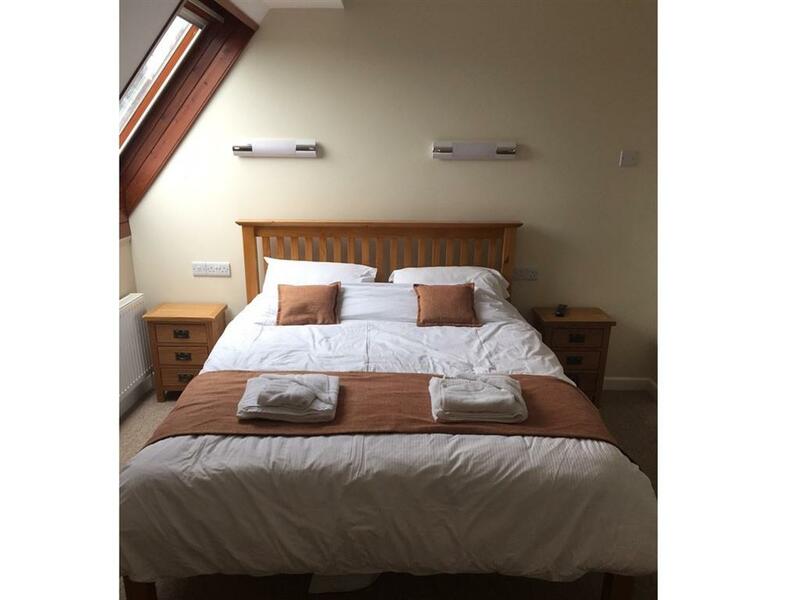 Our Standard Twin Rooms come equipped with two single beds, tea and coffee making facilities and all have a modern newly refurbished bathroom with a shower. 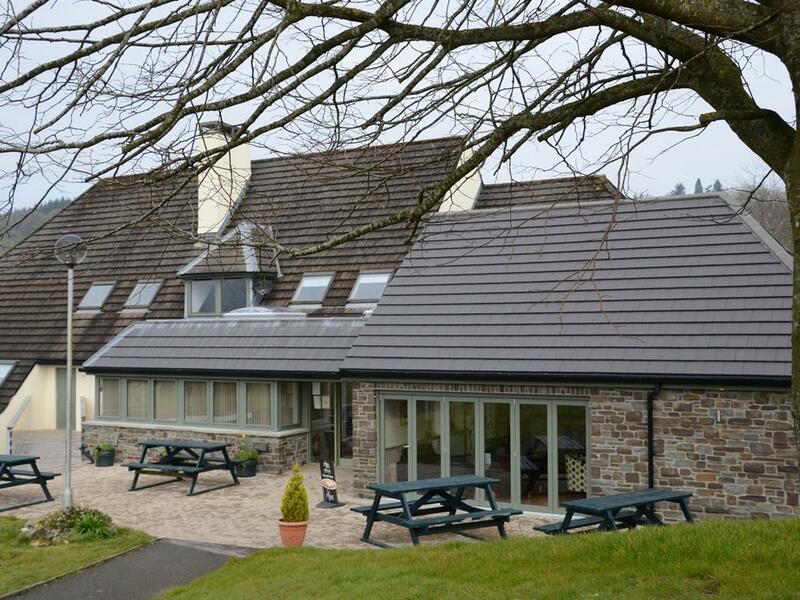 If you’re visiting mid Wales on holiday or for business you will find Neuadd Henllan a comfortable and relaxing place to stay. 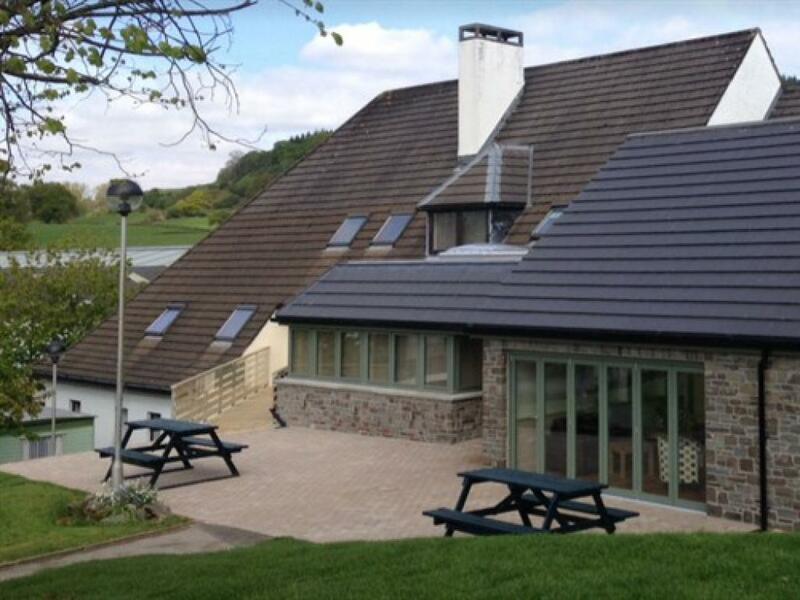 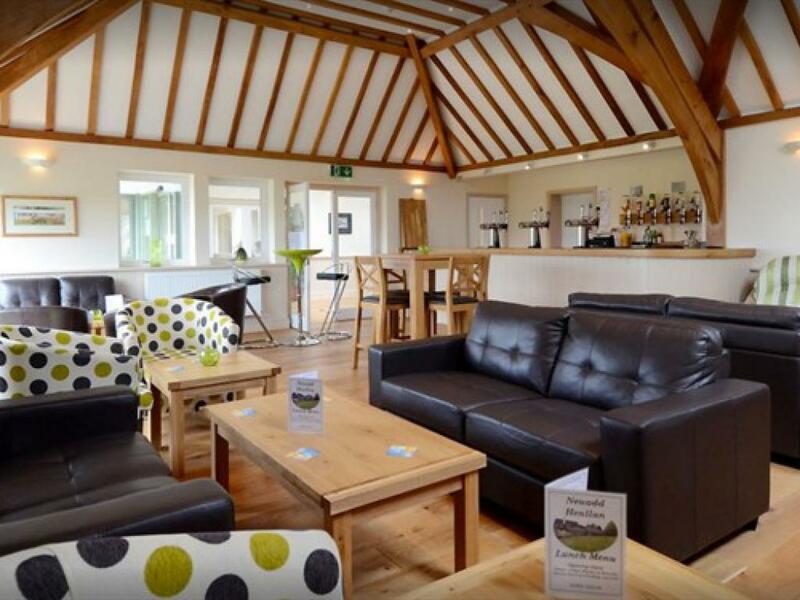 The showground provides unrivalled facilities for a variety of indoor and outdoor use and is now a popular centre for conferences, seminars, private functions and other activities throughout the year. 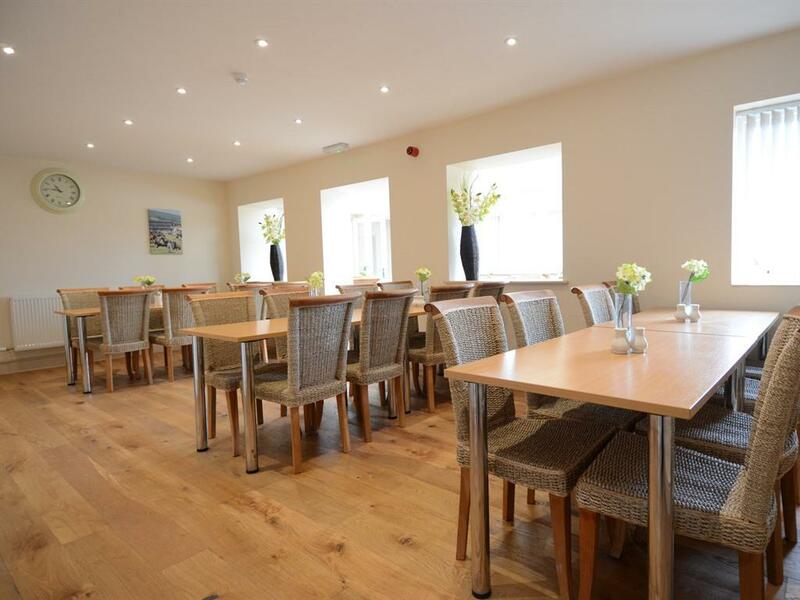 Neuadd Henllan enjoys an exceptional view of the showground and surrounding countryside and offers beautiful, modern accommodation in Builth Wells, superb home-cooked lunches and evening meals, professional service and excellent value. 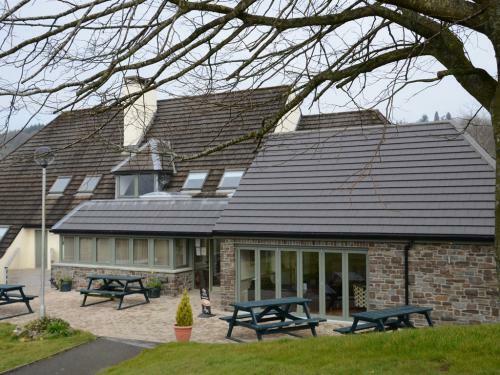 We are perfectly situated for exploring the beautiful countryside of Mid Wales and with Rhayader, Brecon, Llandrindod Wells, The Elan Valley and Hay-on-Wye all within 20 miles there is plenty to do and see! 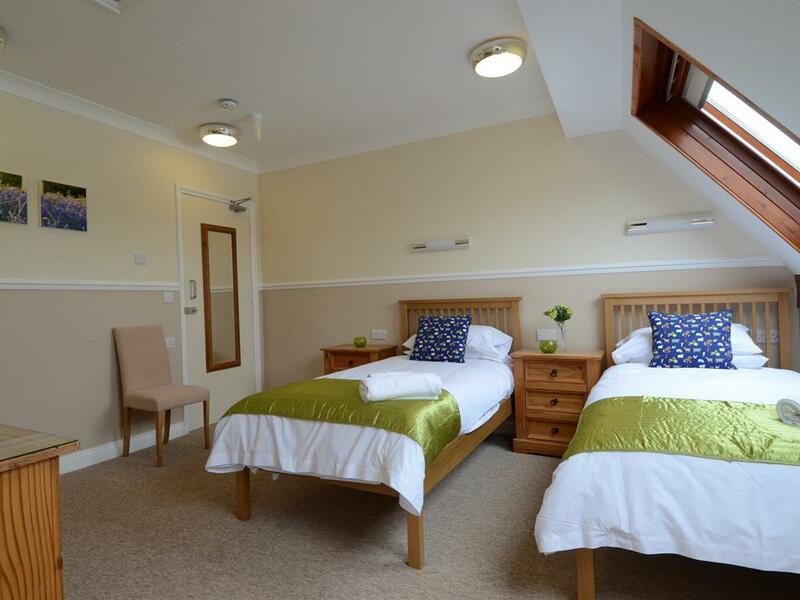 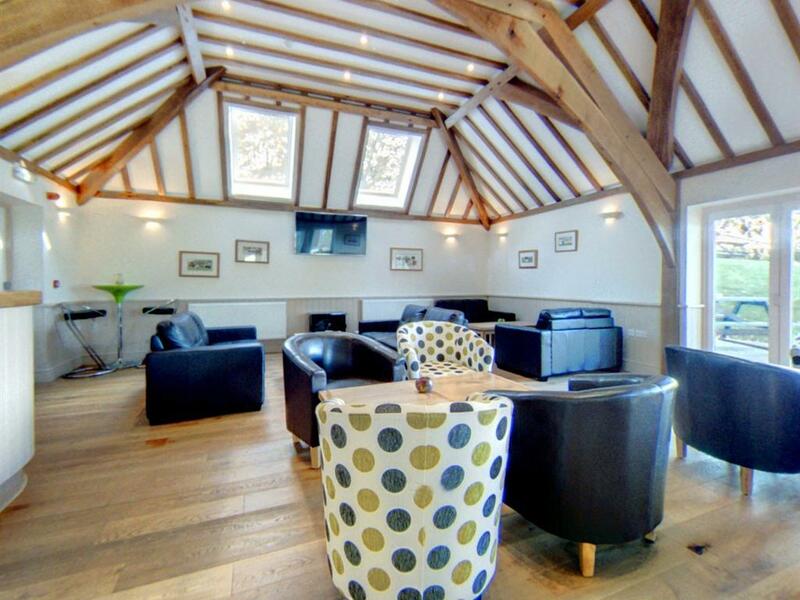 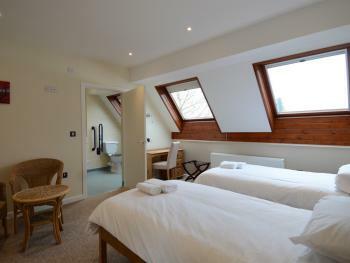 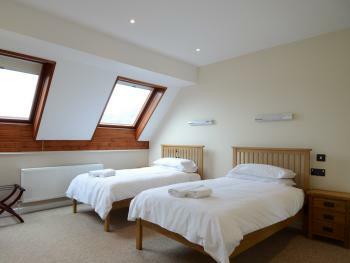 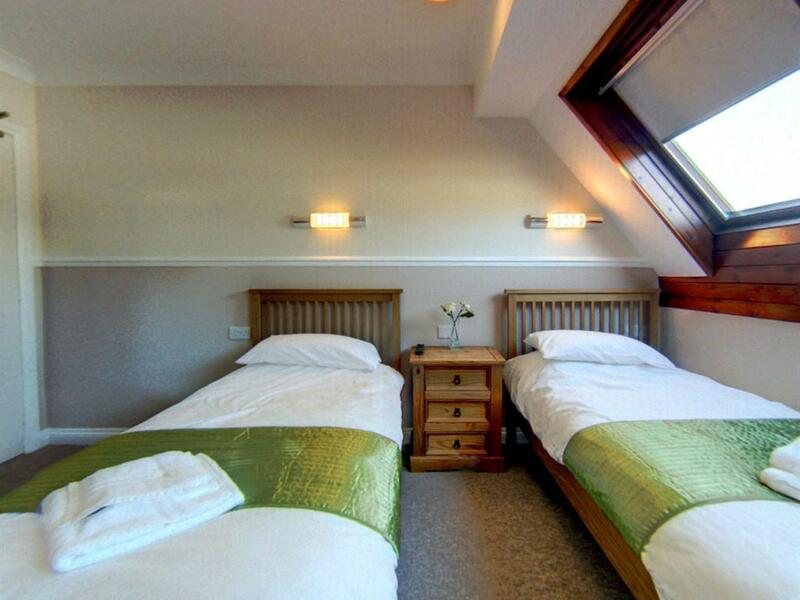 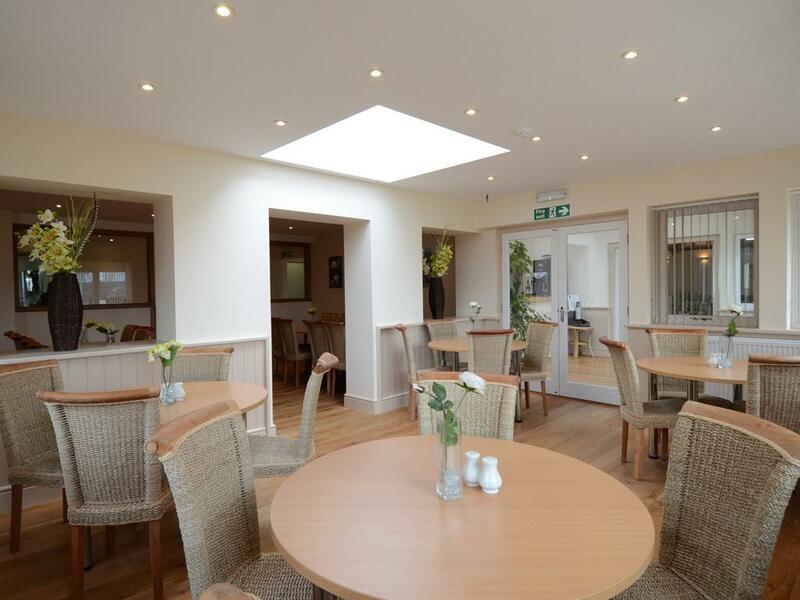 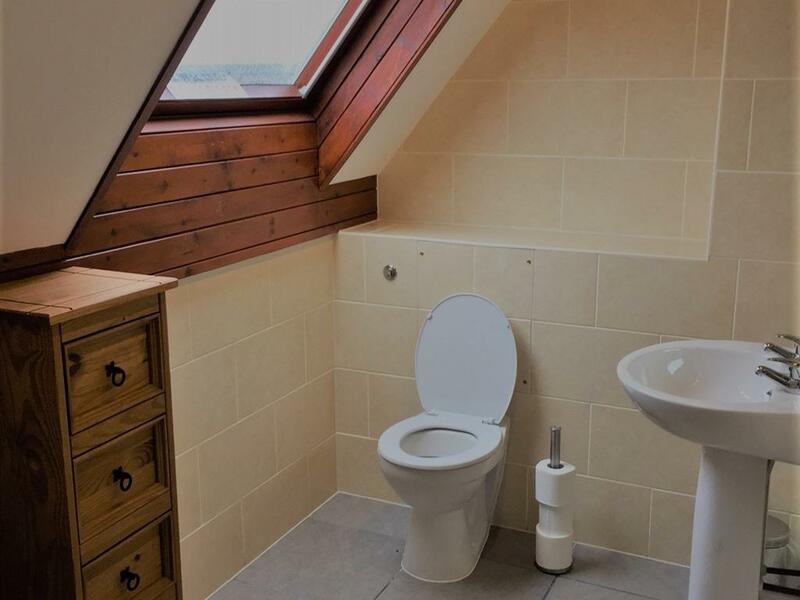 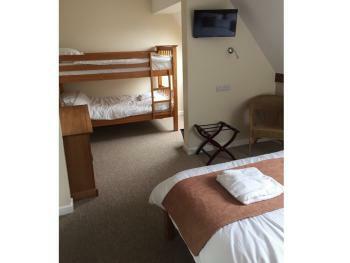 We have ground floor rooms which are suitable for people with limited mobility. 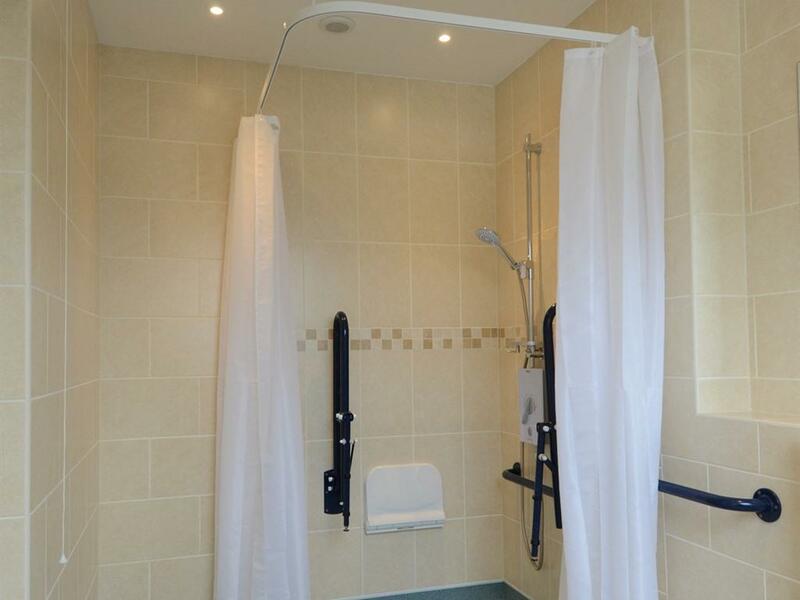 There are wet rooms and emergency pull cords.